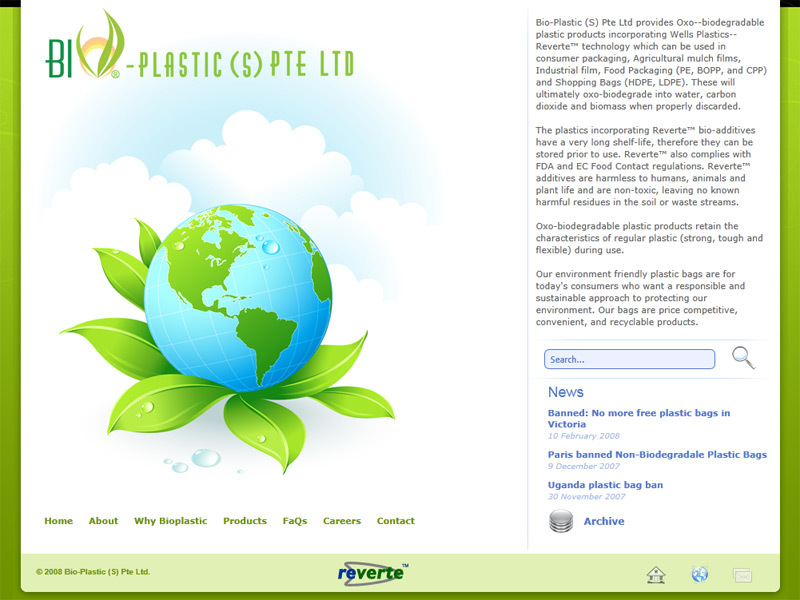 Bio-plastic (S) Pte Ltd is one of the leading suppliers of 100% biodegradable plastic packaging in Singapore. At the core of their business is a belief that human economic activity need not necessarily threaten our natural environment. 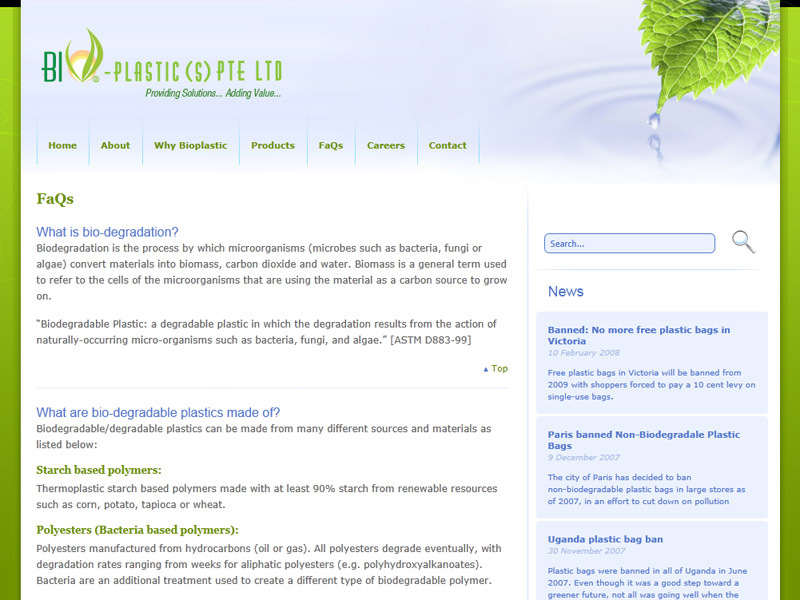 Our web design and development for Bio-plastic centres around this important theme. The key colour used is green, universally welcomed as the colour that conveys all the beauty and gentleness of nature. 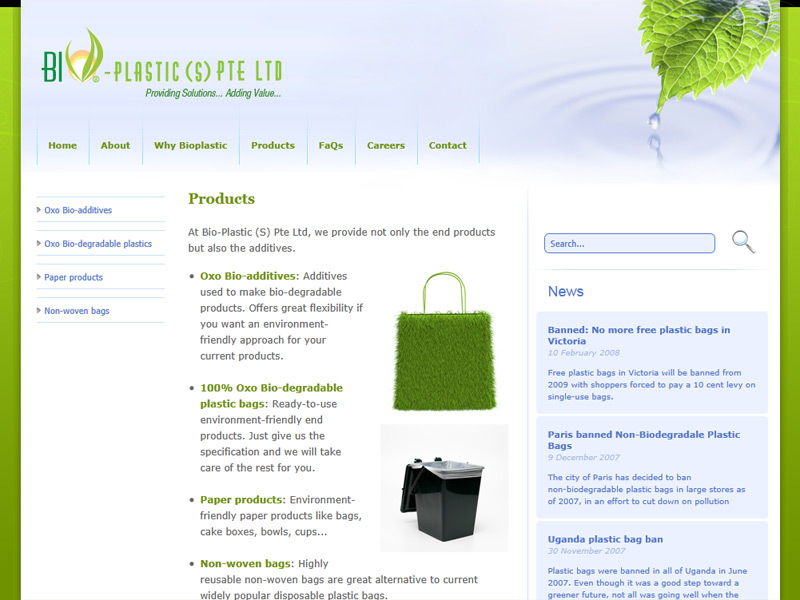 Other commonly cherished and eye-pleasing imageries of nature, such as white clouds and water ripples, also play a part to sell Bio-plastic as a company that works in harmony with nature and contributes in its own way to preserve all the beauty of Mother Earth for future generations.